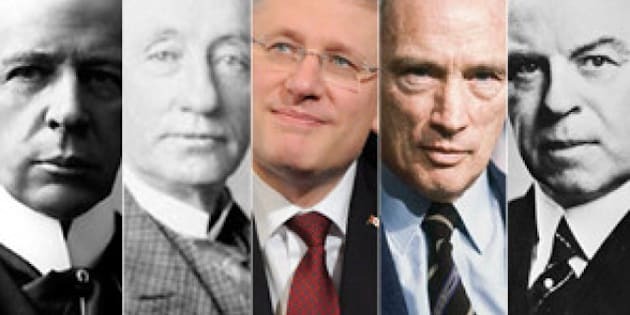 Who has been Canada's best prime minister? According to Brian Mulroney, it was John A. Macdonald. But we're leaving our list up to you. Mulroney was among five former PMs honoured Thursday night in Toronto at the Public Policy Forum's annual Testimonial Dinner and Awards. The gathering came as the Institute for Research on Public Policy released a list of Canada's best premiers since the 1970s, which gave us the idea to let you decide who our best prime minister since Confederation has been. Vote on your favourites in the slideshow below and make sure to check back on this page to see who wins. CORRECTION: An earlier version of this story indicated that the best premier's list was released by the Public Policy Forum. It was actually released by the Institute for Research on Public Policy. Who Was Canada&#039;s Best Premier?